In a major development that will certainly be ignored by the mainstream media, longtime pro-Russian communist Angela Davis has announced that she will vote for Hillary Clinton, the Democratic nominee for president. The recipient of the Lenin Peace Prize, Davis was a Communist Party candidate for vice president of the United States when the CPUSA was funded by Moscow and provided cover for Soviet espionage activities. Davis is a lesbian activist, in addition to being a communist and supporter of Democratic Party presidential candidates. A vegan, she has lately adopted animals as the latest victimsof the white oppressors. Davis was once on the FBI’s most wanted list for her alleged involvement in a murder. She beat the rap and went on to have a “successful career” as a college professor and never disavowed her communist beliefs. In fact, she says, “I have always been a communist.” Yet her speeches cost students as much as $20,000 per appearance. There remains some confusion about whether her comments at the University of Texas at Austin’s first international Black Studies Conference, “Black Matters: The Future of Black Scholarship and Activism,” amounted to a direct or indirect endorsement of Hillary. What we can be sure about is that the liberal media will treat it as a non-story. The liberal media published endless stories about David Duke, former Ku Klux Klan leader, endorsing Trump. But we won’t hold our breath waiting for stories about Davis endorsing Clinton. For the media, extremists only exist on the right. Her votes for Obama and her promise to vote for Hillary Clinton represent a decision by top communists to continue working through the Democratic Party. 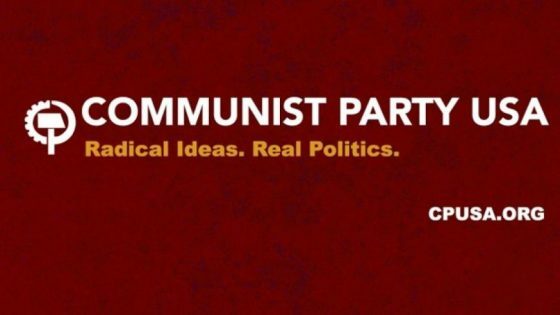 The CPUSA endorsed Obama in 2008 and 2012. “America needs a landslide against Trump” is the headline over an article currently featured on the CPUSA website. The story by Joelle Fishman, chairman of the CPUSA Political Action Commission, says a “landslide unity vote” is necessary to “to repudiate sexism and elect the first woman president,” and that “big progressive gains” can be made nationwide if Mrs. Clinton and the Democrats win big. The CPUSA political agenda includes more immigrants voting in U.S. elections without voter ID laws. Fishman indicated that the CPUSA was originally working with the Bernie Sanders for president campaign but is now backing Hillary. “The Sanders campaign brought discussion of socialism into the mainstream,” she said. “In many parts of the country where the Party was involved we have experienced a growth in membership.” These members are now being told to work for the election of Mrs. Clinton. Watch carefully as the media seek to avoid even mentioning that the communists are mobilizing for Hillary.